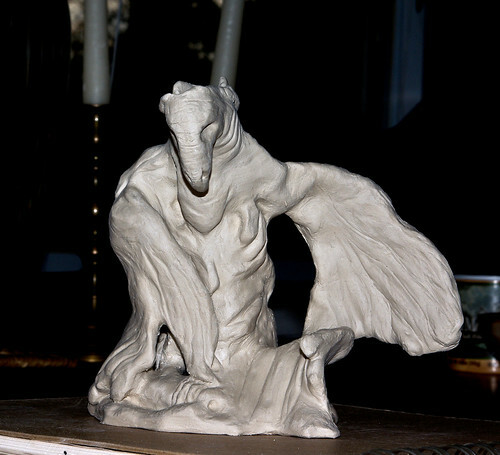 I’m working on a few sculpts at once…two wall hangings, one of which is a vulture (surprised?) and this new little vulture I just finished and is now drying. Started out like an ordinary vulture and then I sat back, quit thinking and started poking, twisting, pushing and digging. So here’s the poor little guy, bowing his thanks (probably that I finally stopped the torture). 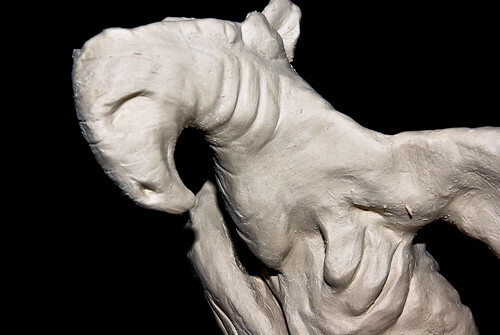 This entry was posted on Wednesday, November 18th, 2009 at 4:49 pm	and tagged with art, clay, sculpture, vultures and posted in Uncategorized. You can follow any responses to this entry through the RSS 2.0 feed.